It’s natural for a first-time visitor to Zagreb to wonder “what was it like here under communism?” There are few visible traces of that time in the city, one reason being the gentler mode of socialism that Croatia, as part of Yugoslavia, experienced compared to its neighbours. Whether in Zagreb or Moscow, Budapest or Prague, however tough the face of totalitarianism may have been, you’ll find people, young and old, who feel sad at the loss of some things from those days. For many, life was more secure and more innocent than it is today. Though some freedoms were curtailed and many consumer goods weren’t available, people had more time for each other and for fun. We’ve put together this quick guide to ​IZagreb’s socialist past to give you a taste of what life was like under that doughty leader of the non-aligned world, Marshal Josip Broz Tito. To mention the words “socialism” and “architecture” in the same sentence is to conjure up visions of dreary avenues of concrete blocks. However, socialism spawned quite a few buildings which are admired by their residents and the cognoscenti alike. In post-war Zagreb architects often favoured designs inspired by the “father of modern architecture”, Charles-Édouard Jeanneret - Le Corbusier. Appalled by the poverty he saw in Paris in the 1920s, this famous utopian designed “machines for living” which should make life pleasant for their residents and transcend class divides. One example of this style is the block that straddles numbers 35 and 35a on Zagreb’s Avenija Vukovar. 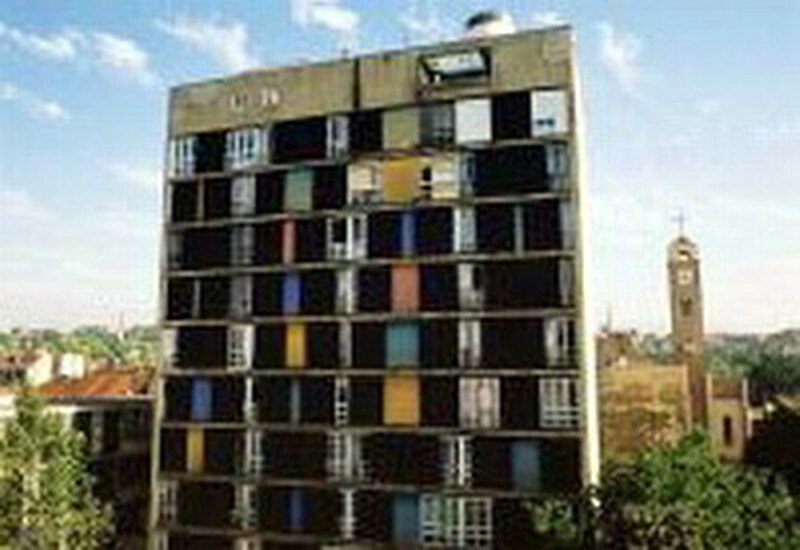 It was designed in the mid-1950s by Drago Galić, who was inspired by Le Corbusier’s Unité d'Habitation modernist residence in Marseille. The residents in Vukovarska live in what experts claim is one of the most human-friendly buildings around. 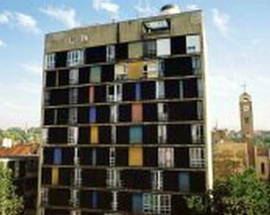 It has duplex flats and studios for singles in the attic, great views, a caretaker and a communal laundry. 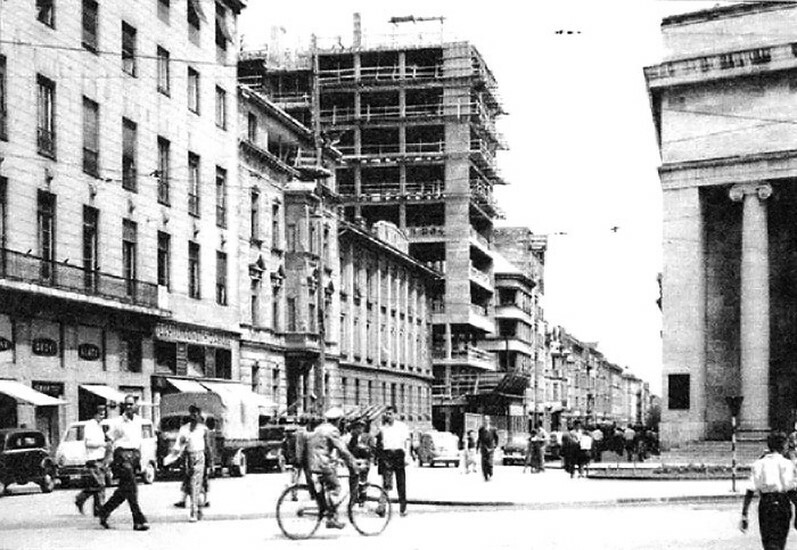 Much of Vukovarska dates from the post-war period when massive numbers of migrants flocked to the city. 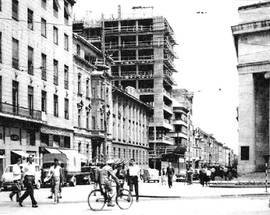 Also see: the City Hall; the building where a branch of Raiffeisenbank is now housed; the People’s Open University and the apartment block on the corner of Držićeva whose flats boast a better design than many built today. 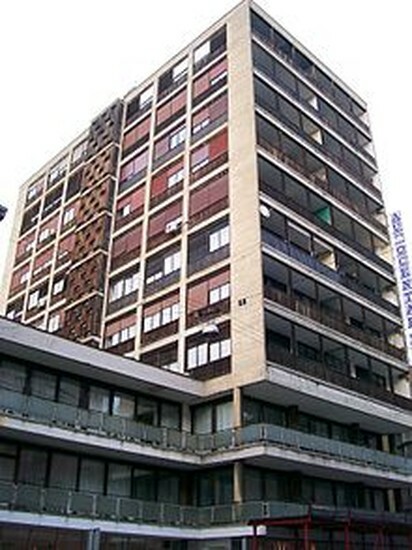 Drago Galić was the protégé of another well-known Croatian architect, Drago Ibler, who is responsible for “the Wooden Skyscraper”. You’ll see it on Iblerov trg: a low-rise section with business premises with an eight-floor residential block on one side. Its innovative design makes it one of Zagreb’s most famous buildings of the era. Residents can enjoy a terrace with a wooden pergola covering the whole of the top of the block. 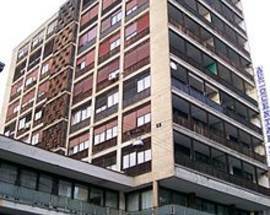 Nearby, in Laginjina ulica, is a building famous for its harmonious incorporation into the city. Colourful panels and sliding sunscreens cheer up the south side of the building. However, as with all of these building, the condition isn’t great: let’s hope the city council finds a bit of cash to help spruce up these icons of the Modern age. For a little retro “commie”-chic seek out the building of the erstwhile Central Committee of the Union of Communists of Croatia – known as the “kockica”, or “cube”. Designed by Ivo Vitić, you’ll find it on the banks of the Sava at Prisavlje 14. Today it houses a brace of government ministries. Novi Zagreb is another part of town defined by the great immigration of the post-war period. One of its famous buildings is “Super Andrija” after the hero of a hit song from the 1960s. As the writer of one forum post puts it, “it’s a socialist mammoth… ugly as the plague”. But all would agree, though big and ugly, it is very well built. Urban legend has it that if an atom bomb fell on Zagreb, Super Andrija would be the last thing left standing. Behind it is a large park called “Park mladenaca” or “The Bride and Groom’s Park”, since couples would plant trees there when they got married. The 1950s, a time of great demographic and social change, gave birth to some dazzling work in the art world. Yugoslavia quickly shook off the socialist realist work advocated by more hardline regimes, and ground-breaking modern art took root. EXAT 51 was a group founded in 1951, mostly by painters and architects who advocated experimentation and the synthesis of all art forms, aiming at full social engagement. They were followed by the New Tendencies movement, who in the 1960s explored computer art and cybernetics. Also in the 1960s, the Gorgona group was pushing the boundaries of radical expression. You can learn more about all these and more in Zagreb’s excellent Museum of Contemporary Art. The trend towards multidisciplinary work led to great industrial design, as well as architecture. Two of the founding members of EXAT 51, Bernardo Bernardi (1921-1985) and Vjencesalv Richter (1917-2002), were adept in graphic art, architecture, interior and industrial design. 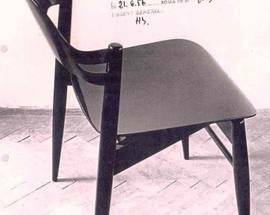 Both designed some wonderful furniture; sadly, very few examples survive. 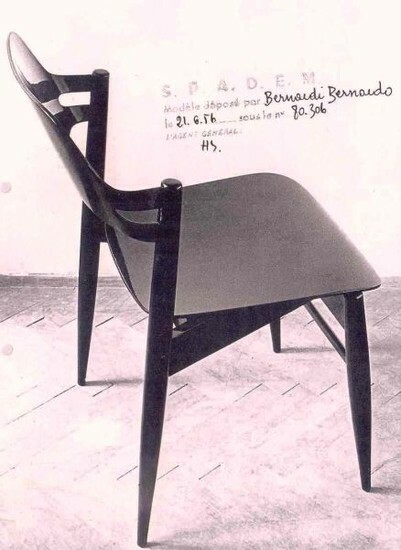 You can see a chair by Bernardi at the People’s Open University on Avenija Vukovar; while one chair by Richter is kept at the Museum of Arts and Crafts. You can also visit the villa that Richter designed, lived and worked in with his wife Nada at Vrhovec 38. At the end of the 1970s the Yugoslav New Wave was born, considered by many the golden age of music in these lands. The subversive, punky movement still has a large and devoted following. The authorities frowned on the “Novi val”, but tolerated it with occasional interventions by the censor - maybe why the lyrics are so smart and relevant. The best New Wave bands include: Azra, Film and Haustor from Zagreb; Električni orgazam, Idoli and Šarlo Akrobata from Belgrade, and Pankrti from Ljubljana. The compilation Novi Punk Val showcases Croatian and Slovenian bands, and Paket aranžman Serbian bands. Or try the films Dečko koji obečava (“The Promising Boy”) or Sretno dijete (“Happy Child”) for a picture of those times. Some of these products with their roots in the 50’s are just as popular now as they were back in the day. Exactly the same chocolate inside, “Braco” was for boys and “Seka” for girls, as denoted by the cherubic faces on the wrapping. Cockta, a Slovenian cola, is made from herbal extracts; mainly rose-hip. So, though mighty sweet, it was seen as a healthier (and cheaper) alternative to other branded soft drinks we won’t name. Kids could hardly wait to get their mitts on “Animal Kingdom” chocolate bars to collect the pictures of dangerous beasties lurking inside. A luminous powder you mix into water to make a drink, a bit like Kool-Aid. Apparently one glass of drink gives you 50% of your daily dose of nine different vitamins. Still a big hit with young and old alike. One of the original, much-loved chocolate biscuit brands from Kraš, Zagreb’s iconic sweet factory, is condescendingly named “Housewife”. A powder not unlike dried soup laced with the secret flavour enhancer MSG; many cooks can hardly imagine life without it. A round box containing cheese triangles which were an integral part of every holiday trip. 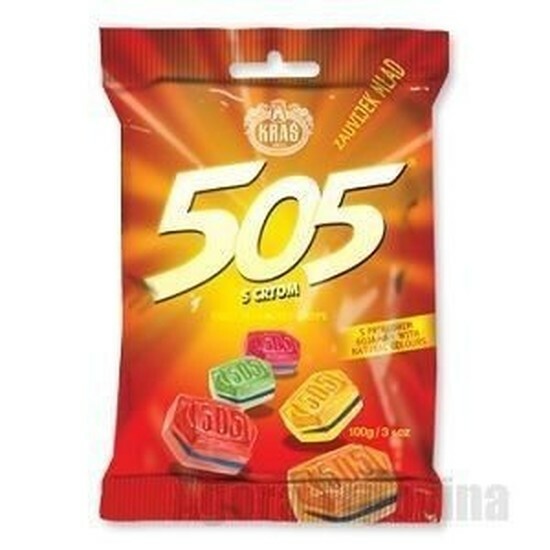 These refreshing hard sweets are apparently made from natural herb and fruit extracts. 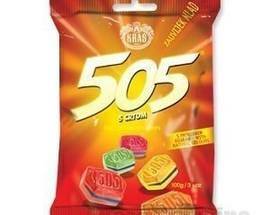 The same company has also made a coffee sweet, Kavabon, for decades. Canvas sports shoes made by Borovo, a company established in east Croatia by the Bata family, Czech shoemakers and philanthropists. The Startas brand was recently overhauled with new colourful versions by Croatian designers. Find them in Borovo shoe shops, where you’ll also see the peep-toe canvas ankle boots beloved of 1960s waitresses and hairdressers. A brand dating back to 1883, no celebration was complete without a tasty Gavrilović salami. The tins of pate and luncheon meat are pretty iconic. Right behind the main railway station, walk east along the railway tracks to get there. Time has hardly touched this place, it is redolent of railway cafes from 1960s films. Great prices too. This city centar cellar restaurant has an interior that harks back to the 1960s with its simple folkloric designs. Good lunchtime specials and wine abound here. Tomislav, Trg kralja Tomislava 18, tel. (+385-1) 492 22 55. Rustic restaurant near the railway station. The decor and staff uniforms are pure 1960s. A Zagreb institution: on Fridays there are huge queues for tasty fried fish eaten on the go. Delightfully retro plasticky interior. MK (Krolo), Radićeva 7, tel. (+385-1) 483 09 80. This simple place is beloved of journalists, artists and anybody fed up with the sterile atmosphere in the city's trendy bars. 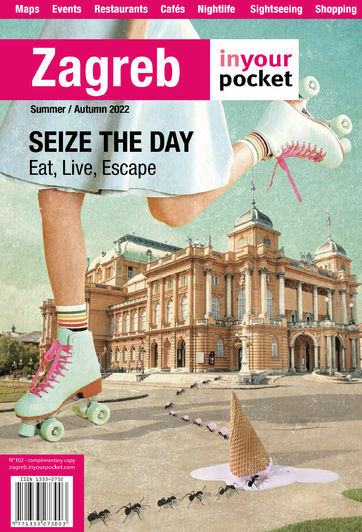 This restaurant and cafe is the traditional haunt of Zagreb's bohemains and literati. It hasn't changed since the early days, and offers a great selection of well-prepared Dalmatian food.